The Israeli Housing Ministry and the Jerusalem Municipality have launched a large settlement scheme aimed at building 15,000 settlement units on the lands of Qalandiya airport and in a settlement area called Atarot to the northwest of Occupied Jerusalem, the Palestinian Information Center reported. The Hebrew media said that the new settlement scheme “will be the largest construction operation launched behind the Green Line in Jerusalem since its occupation in 1967,” PIC noted. The Hebrew newspaper Haaretz reported on Wednesday that ‘the scheme includes thousands of settlement units,” adding that since the inauguration of the US president Donald Trump, the Ministry of Housing began activating the settlement schemes that were frozen in the term of the former US president Barack Obama. The settlement neighborhood contains 15,000 housing units stretching on about 600 dunums all the way to the Qalandiya checkpoint. These lands were confiscated in the early 1970s by the Labor Government. 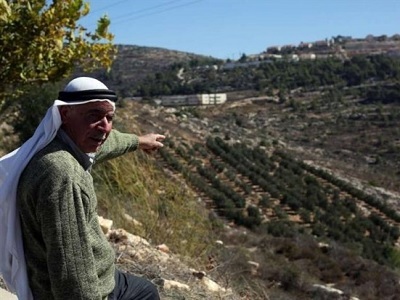 The scheme includes digging a tunnel under Kafr ‘Aqab neighborhood to connect the new settlement neighborhood with the eastern settlement bloc that remained outside the separation wall. The settlement neighborhood will be established near Qalandiya checkpoint, which separates the Palestinian neighborhoods in northern Jerusalem from Ramallah, in the northern part of the area that was confiscated by Israel after the 1967 war. This area is considered the most populated by Arabs in the West Bank.